Sheep and Goat Fence is typically designed with a 4″ X 4″ square opening from top to bottom for effective containment of livestock and exclusion of predators. 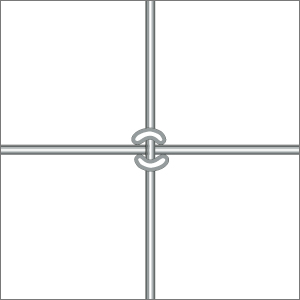 Our sheep and goat fence products feature a solid vertical stay wire locked to the horizontal wire with an “S” knot. San Antonio Steel Company offers sheep and goat fence in Class 1 and Zinc Aluminum galvanization from various manufacturers.